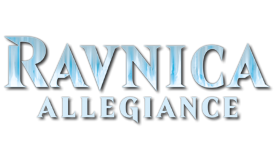 First and foremost, before posting here or anywhere else, be sure to read the MTG Salvation Forum Rules. All rules there are enforced here. Decklists DO NOT belong in the Discussion forum. 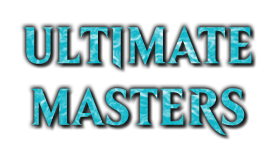 Anyone posting threads with decklists in the main discussion forum will have their threads moved to the appropriate subforum at a moderator's discretion, and will be warned or infracted. If you wish to provide a decklist as a reference resource for a discussion, please link to it rather than posting it in full in that thread. Double posting is allowed, but only in threads you make. When double posting, make sure that the posts are spaced apart by at least 48 hours. When bumping your own thread make sure to have some content in your post or it will be considered spam. Please be sure to use deck tags ([deck]Deck Goes Here[/deck]) when posting a decklist. This makes your post easier to read and understand, and increases the chance you will get responses. Read this thread for more information on card and deck tags. It is also specifically worth noting that, because of the way the tags are coded, you must put a number before each card name. Yes, this is redundant in Commander, but you still have to do it to make the tags work. It's okay to discuss unreleased cards as soon as they are spoiled. A general thread for this purpose is located here, but you are also welcome to add them to decklists, etc. Use of the Primer tag / status is reserved for lists approved by the Commander Primer Committee. If you are interested in upgrading a list to primer status, please look over the application process for eligibility. Refrain from using Primer in any way for decklists unless approved by the primer committee. Failure to comply will result in warnings / infractions from moderators. All solicitation, promotion and discussion of articles, podcasts, and event coverage must be done in the dedicated official thread. Sleeves / Deckboxes / Useful other commander things may be solicited in the sleeve and deckbox thread. You may NOT solicit MTG cards, or a MTG site in general here. This thread is specifically for the extras that go with the game that are geared for commander. Please be reasonable in your solicitations here if you try to break the system we will get rid of this. Content must be directly related to the Commander format. Off-site links must include a description or synopsis of the material. You must wait 48 hours to solicit a new topic. You may respond to any questions or feedback directed towards you but please try not to spam these threads with content. Non-Commander related content. This includes general MTG content that occasionally includes Commander. 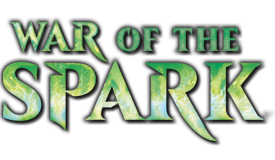 Eg: A podcast that talks about all Magic formats can not be promoted in the Commander forum; they can only promote specific episodes that are dedicated to Commander. Subscription based or pay to view material may not be solicited here. Users who do not follow the Solicitation Rules will have posts removed and may receive punishment at moderator review. If you have any questions about your content please feel free to contact the Commander Moderator team to have any questions answered. The rules have been reviewed and streamlined over the past week or two. 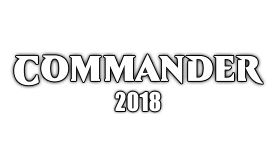 The old commander rules can be found here if you would like to see the old ones. For the most part we simply removed rules that we either didn't enforce or were redundant with the MTGSalvation Rules. There really shouldn't be any noticeable changes from what was already enforced but hopefully this cuts down on redundancy and makes this document a little shorter. Added a new rule for the use of primer tags. There will be a commander primer committee opening within the next few days for application of primer status. Please refrain from using any sort of primer WIP / Soon to be primer or any other such varients as well. 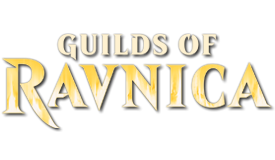 MTGSalvation and the Commander subforums have recently updated the rules regarding solicitation. The official rules of the site will be changing about a day after this post with the changes being reflected here. 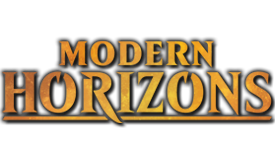 The Commander Moderator team recognizes the popularity of the format and the number of individuals who contribute and generate valuable content of all types regarding the Commander format; under our new rules we encourage those people to advertise their content, with the following rules changes reflected in rule 6 of our rules. PLEASE!!! Review all of our rules outlines above before you solicit material. We encourage users to utilize this rule but at the same time we do need all users to abide our rules.